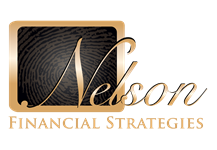 This website is a publication of Nelson Financial Strategies. Information presented is believed to be factual and up-to-date, but we do not guarantee its accuracy and it should not be regarded as a complete analysis of the subjects discussed or as personalized investment advice. All expressions of opinion reflect the judgment of the authors on the date of publication and are subject to change. The firm is not engaged in the practice of law or accounting.